When Pizza Makes Christmas Last Longer And Better! Keep the spirit of Christmas alive and well and do it with Sangria and Pizza! In case I haven't mentioned before, Pizza Express is probably one of the most underrated pizzerias in the city and it really shouldn't be! They have impeccable service, the standards of which are usually found at high-end cafes and bars. The outlet at Ambience Mall, Gurgaon is minimalist chic and very spacious, with a visible pizza oven which will probably make you hungrier. 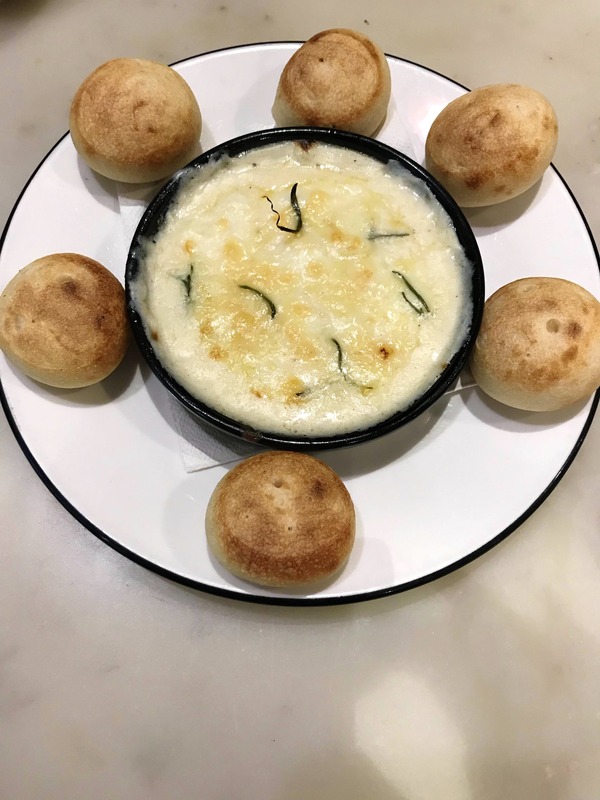 The menu is precise with an emphasis on pizzas and pastas, both of which they have mastered, so I suggest you go easy on their signature Dough Balls (which is super hard to do!) and keep space for their Christmas menu. The innovative part is that they've used typical Christmas ingredients like Turkey and Cranberries which works out pretty well, so we were pleasantly surprised by the Turkey Cranberry-Onion Sauce Pizza that's finished with pine nuts and rosemary, though our favourite from this menu was the BBQ Chicken Pizza because it had coriander and green chillies which sounds unusual but turned out delicious, sweet, tart and spicy, all in one. If you're in the mood for pasta, then don't miss the Linguine Pollo Pesto Rosso, a red pesto linguine with chicken, creamy and spicy, it's custom-made for the Indian palate and goes really well with their Red Wine Sangria. This menu can be enjoyed as combos too, soups and mains or starters and mains, I suggest you have time out for a leisurely meal, order a pitcher of Sangria and go slow and easy, but don't forget to finish with the Cinnamon Dough Balls which come with a vanilla pastry cream that looks deceptively like butter but it's better!